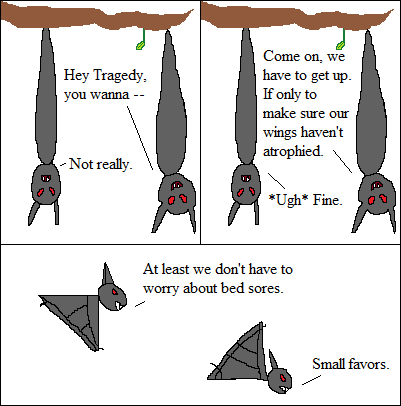 Inspired By True Events - Reasons to get out of bed in the morning: Atrophied muscles and bed sores. Reasons to get out of bed in the morning: Atrophied muscles and bed sores. Looks like theses two haven’t done much since Monday. They’re living the dream. Well, my dream, at any rate. I dream of dreaming. Well, sleeping. And I don’t, really. It was metaphorical. You know what? I feel like I’m making this awkward.